M.K., a 25 year-old female, Filipina-Japanese, presented at the Emergency Room due to abdominal pain. Her aunt stated that she had been noted to be very irritable for the past week before consult but attributed it to stress from the patient’s new job. She had been complaining of epigastric pain but only took AlMgOH, an antacid, which provided slight relief. The patient also claimed that she had been having nausea and had poor appetite, hence did not inject insulin for the past 2 days. She also experienced palpitation, heat intolerance, hyperdefecation and lightheadedness. The patient is a diagnosed case of Diabetes Mellitus Type 1, maintained on isophane insulin and insulin aspart. She was also diagnosed with Graves’ disease maintained on Methimazole 10 mg 3x a day. She claimed to have good compliance but hardly achieved euthyroidism. 2 weeks prior to admission, she underwent radioactive iodine (RAI) treatment (15 mci) and methimazole was discontinued 2 days prior to the RAI. On physical examination, patient was restless. Blood pressure was 116/78, pulse rate was 138 beats per minute, respiratory rate was 23 breaths/min, and temperature was 37.1 C. Her body mass index was 20.4 kg/m2. Her skin was warm and moist. She had a diffusely enlarged thyroid gland, with bruit but nontender. She had exophthalmos. Cardiac examination revealed tachycardia but regular rhythm. Her lungs were clear. Abdomen was soft with a direct tenderness on the epigastric area. Pulses were bounding and she had grade 1 pedal edema. Initial blood sugar at the emergency room was 435 mg/dl. Serum ketone was high (4.0). An arterial blood gas was done which showed pH of 7.34, pC02 35, HC03 18 with adequate oxygenation, the anion gap was 13.2 mEq/L. The serum sodium was 136, serum potassium was 4.6, and creatinine was 0.52. She was diagnosed with diabetic ketoacidosis and was started on hydration and insulin drip with an hourly monitoring of fluid balance and blood sugar as well as frequent serum potassium determination. TSH was also requested and was noted to be low (0.01) with a high FT4 (40.66). Electrocardiogram revealed sinus tachycardia. The patient scored 55 on the Burch and Wartofsky scale for thyroid storm, with 20 points for agitation, 10 for gastrointestinal dysfunction, 20 for tachycardia, 5 points for the presence of pedal edema, and 10 for the presence of a precipitating factor. With a score above 45 being highly suggestive of thyroid storm, she was diagnosed with thyroid storm. She was started on antithyroid medication (PTU 50mg/tablet 4 tablets every 4 hours) as well as potassium iodide solution, dexamethasone and propranolol for heart rate control. 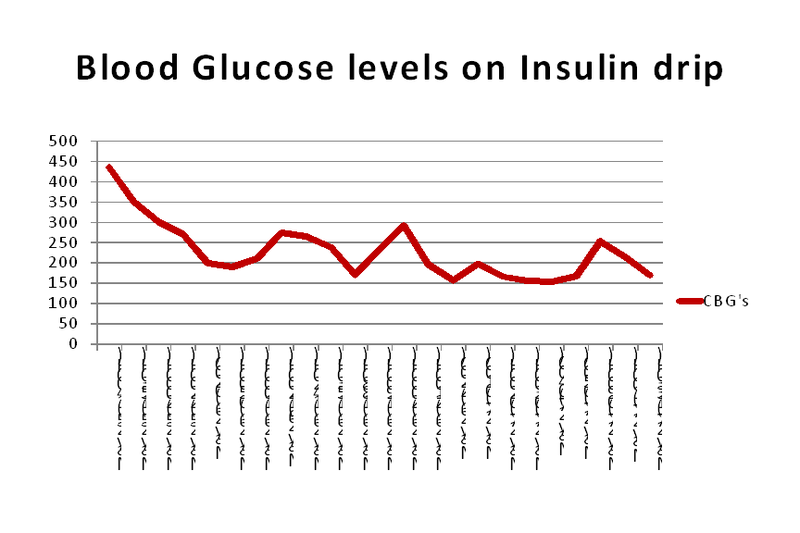 Blood sugar was controlled and symptoms resolved hence she was discharged improved on the 4th hospital day with methimazole 20 mg every 8 hours, Propranolol 20 mg every 8 hours, and insulin. Thyroid storm and diabetic ketoacidosis both can be life threatening if not diagnosed promptly and managed appropriately. The occurrence of each condition is not uncommon but the co-existence of both conditions is not very commonly encountered. 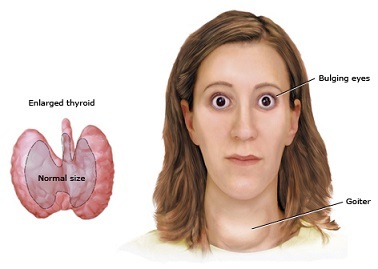 Thyroid storm is a serious complication of thyrotoxicosis usually of an abrupt onset. The thyrotoxic crisis is usually precipitated by infection, trauma, surgical emergencies, radiation thyroiditis or diabetic ketoacidosis. On the other hand, diabetic ketoacidosis is another very serious condition where insulin deficiency leads to hyperglycemia, excessive lipolysis, and unrestrained fatty acid oxidation, producing ketone bodies which results in metabolic acidosis, dehydration, and abnormalities in fluids and electrolytes . 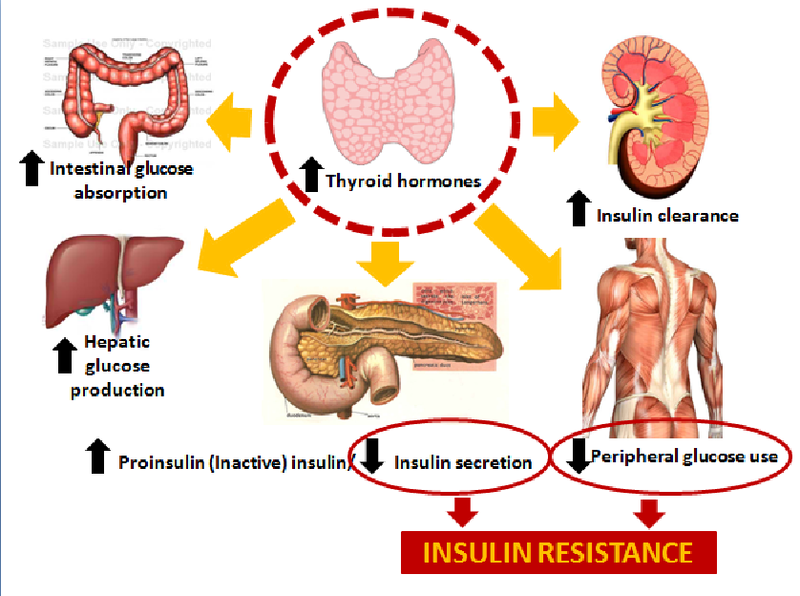 The incidence of glucose intolerance is increased under the hyperthyroid state . Severe hyperthyroidism worsens glycemic control in diabetic patients through several mechanisms, such as an increase in intestinal glucose absorption, insulin degradation, and enhancement of basal hepatic glucose productions, a decrease in both insulin secretion and peripheral use of glucose due to insulin resistance . On the other hand, some studies say that overall insulin secretion is actually increased but the biologically active insulin is decreased. This problem, compounded by an overall increase in insulin clearance caused by increased renal blood flow and increased glomerular filtration rates in a hypermetabolic state such us hyperthyroidism worsens the dysglycemia. The presence of diabetes mellitus or even diabetic ketoacidosis should be sought in patients with hyperthyroidism, and vice versa, particularly in young women. 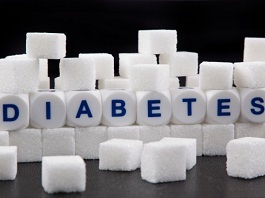 Type 1 diabetes mellitus is frequently associated with Graves’ disease, in about 30%, and sometimes may constitute the polyglandular autoimmune syndrome type II . The concomitant occurrence of these two endocrine emergencies can present in a manner masking the other but may be fulminant in its course and be potentially fatal. The things that we first recognize may just be the tip of a bigger problem. This case emphasizes that early identification of the problem, correct diagnosis and prompt management are crucial and life saving. 2. 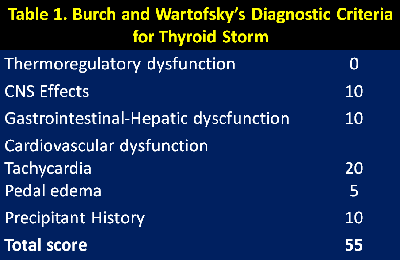 Burch HB and Wartofsky L (1993) Life threatening thyrotoxicosis: Thyroid storm. Endocrinol Metab Clin N Am 22: 263-277. 4. Santamaria P, Barbosa J, HLADQB1 associated susceptibility that distinguishes Hashimoto’s thyroiditis from Grave’s disease in type I diabetic patients. 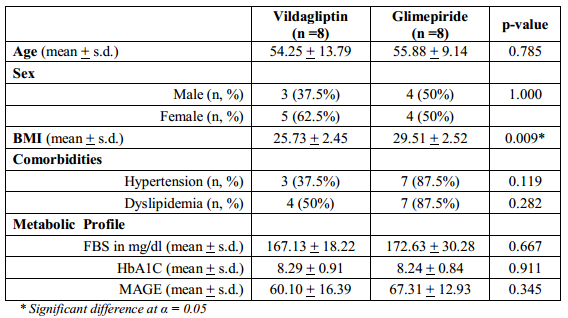 J Clin Endocrinol Meta 78:878-883. 5. O’Meara NM, Blackman JD, Sturis J, Polonsky KS. Alterations in the kinetics of C-peptide and insulin secretion in hyperthyroidism. J Clin Endocrinol Metab. 1993. 76: 79-84.